What happened this morning. 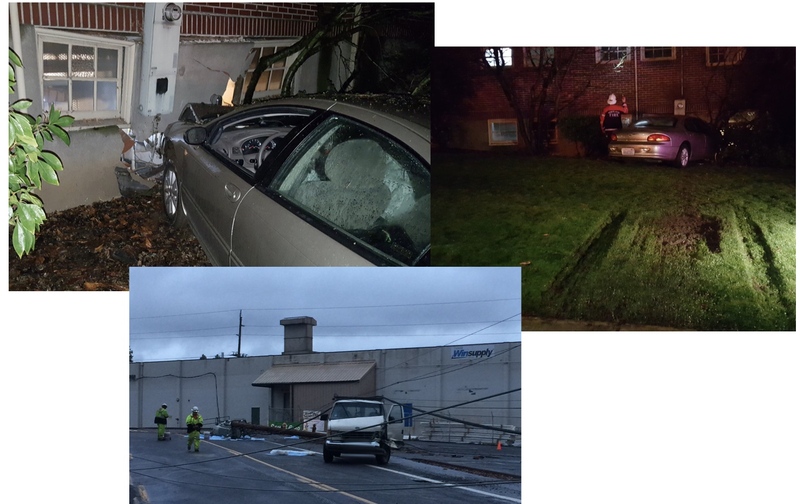 Be thankful you weren’t in that car, in that daycare or under that power pole. The amount of daily destruction and disruption in our region caused by peoples’ inability to control their cars and trucks is staggering. 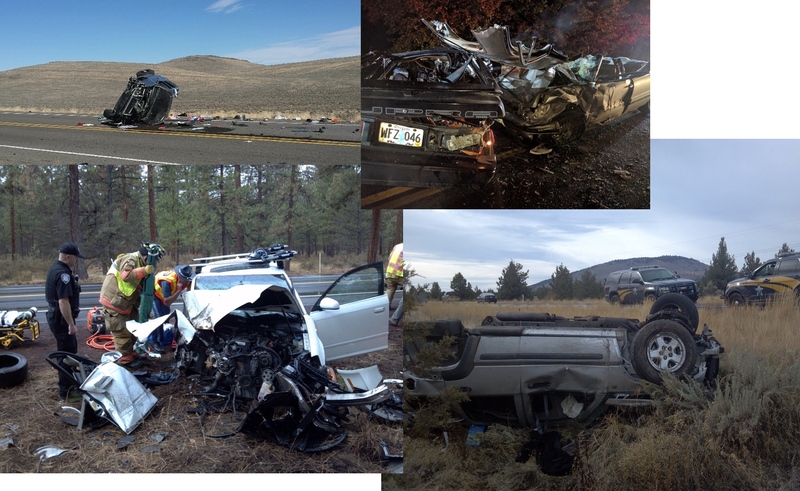 Between 2:00 am and 6:00 am this morning there were two incidents that illustrate what has become an all too common occurrence on our roads. Around 2:00 am on Hall Boulevard in Tigard (adjacent to the skatepark and Burnham Street) a man who had been drinking while driving failed to maintain control of his van and he struck a large power pole. According to the Tigard Police Department, the power pole fell over and a woman riding a bicycle became entangled in the wires. She sustained life-threatening injuries and burns and was taken via ambulance to the hospital. I was looking for the crash report form. 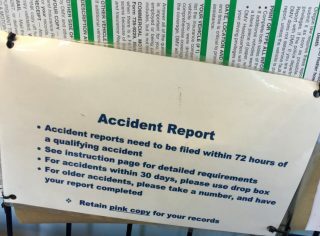 As advocates and even the Associated Press move away from calling all traffic incidents “accidents” there’s one important state agency that shows no signs of ridding itself of the controversial word. And unfortunately it just so happens to be the one agency that every single licensed driver has contact with: the Oregon Department of Motor Vehicles. A few weeks ago I paid a visit to the DMV office in downtown Portland. As I walked in I noticed a wall rack full of forms and one of them stared back at me: “Accident Report” it read. It made my language and activism hairs stand on end. As many of you already know, there are a lot of reasons why the word “accident” should never be used in the context of vehicle interactions on streets. For starters, calling something an “accident” makes a huge assumption that the crash was unavoidable and unintentional. And if that isn’t reason enough, the term dismisses the pain of crash victims. When I got home from the DMV I pulled up the DMV website and there was that word again, splashed all over the page. From local to regional to statewide government, I haven’t seen any transportation-related agency use the term “accident” so much. I had to ask the DMV about it. OregonLive.com coverage of a fatal collision this month. 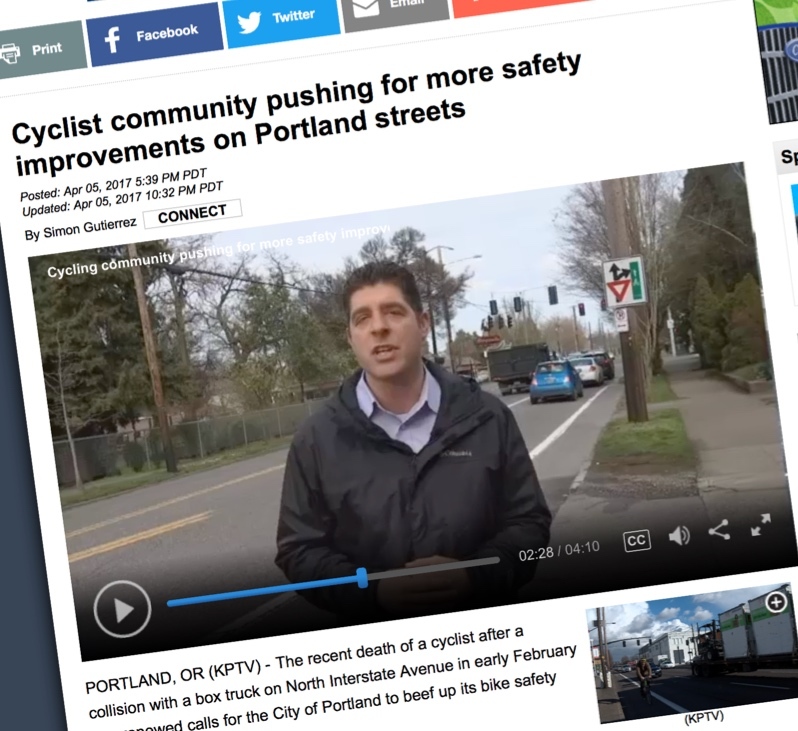 The Oregonian’s director of news says the newspaper’s unofficial practice has been, for years, to avoid “accident” in the absence of information because that word suggests that a traffic incident was unpreventable. But the copy desk chief says the opposite: his preference is to go with “accident” in the absence of information because he feels “crash” and “collision” are favored by “activists” and the newspaper needs to remain neutral. Reporters, meanwhile, don’t seem to be sure what to do. 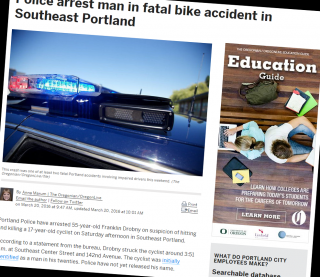 Last week, a business reporter was taking her turn on a weekend cops shift when an allegedly drunk driver killed a 17-year-old; her report described this as a “bike accident.” After a local lawyer emailed her to suggest different phrasing, she first described the word choice as “fine” based on the advice of one editor, then later apologized based on the advice of a different editor. OregonLive.com coverage of Saturday’s fatal encounter. 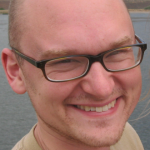 I spent five years in daily newspapers. I get it. Everyone has an axe to grind; it is not your job to grind their axes for them. 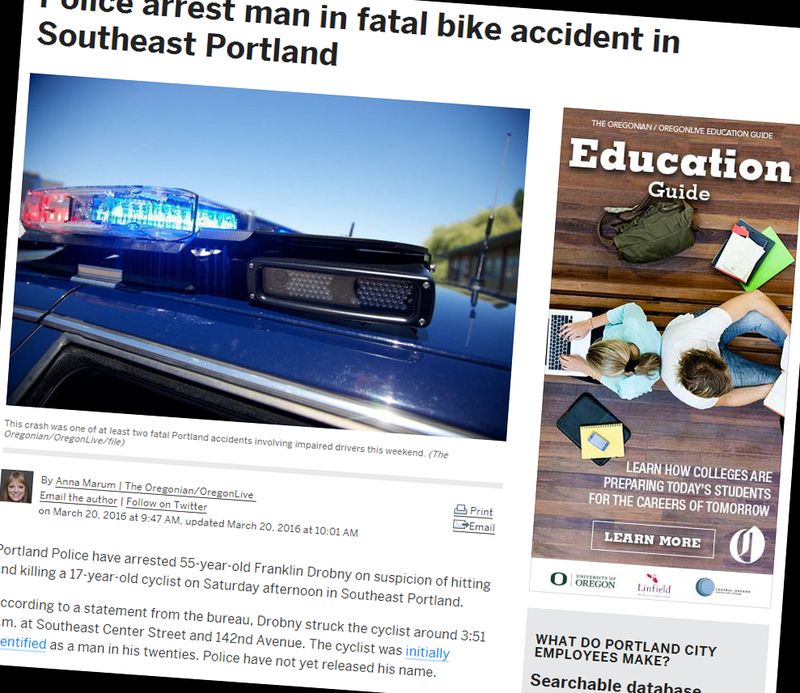 When you use the word “accident” in a story about a man who allegedly decided to get drunk and zoom down an East Portland side street in a pickup truck, presumably getting a nice bounce over the speed bumps right before he killed a 17-year old on a bicycle, some people get upset. I got these comments myself sometimes after I’d worked weekend shifts at my last newspaper, The Columbian, and for years I ignored them. 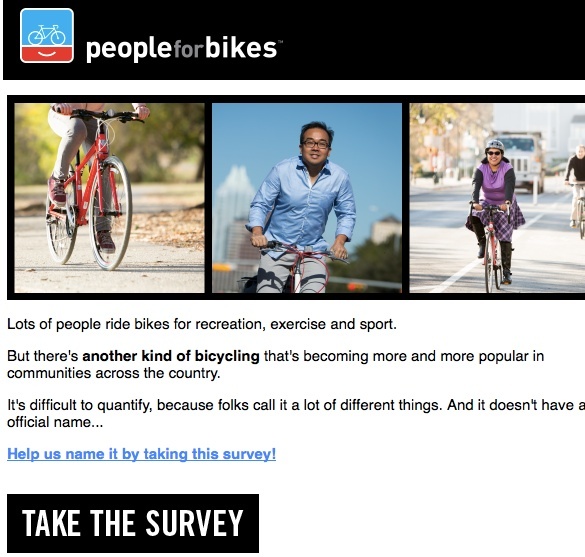 Language Matters is an occasional column about the ways we talk about bikes and biking. When bike believers get political, they often struggle with talking points. People who know the argument for biking in their bones can forget that those who don’t ride won’t be convinced without words. David Plouffe has never struggled with talking points. The Obama campaign manager and strategic advisor turned professional Uber evangelist was in town last week to speak at the annual Tech Fest Northwest conference, and his 13-minute stump speech on behalf of his current employer was a rhetorical sight to behold. Are all road users equally served by traffic advisories? We think the words people use say a lot about their perspectives and priorities. That’s why I always enjoy reading traffic advisories and press releases from our local transportation agencies. 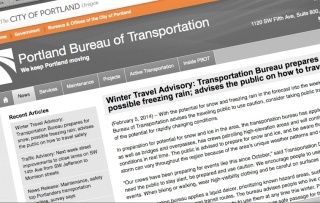 When it comes to severe weather warnings, I have communicated directly with both the Portland Bureau of Transportation (PBOT) and the Oregon Department of Transportation (ODOT) that their statements should not ignore the fact that many people in this region ride bicycles in winter. Yes, even when it snows and rains.